charge VAT (Value-Added Tax) according to the customer's location (not where they are based anymore). submit a VAT return: either an individual report for every EU country you have done business with or a collective VAT return lodged through your VAT Mini-One-Stop-Shop (VAT MOSS). Secure storage of your pieces of evidence for 10 years and recovery of past invoices. These regulations have been annoying for the companies which are in this case. Now, Octobat offers a way to automate all these tasks! First, it's necessary to solve the VAT problem. For that, you need to know what is the right VAT to apply depending on your customer's country at the payment time. What is the rule to know the customer's country? Is it the country filled out by your customer or the country detected by his IP address or the country of his credit card? The rule is that you must have 2 identical pieces of evidence. or a JS file (octobat-custom-form.js) which allows you to customize your payment page. With the 2 options above, we detect the 3 identical pieces of evidence (IP address, credit card's country and customer's country). If you want to be compliant with the European Union VAT regulations, you have to set up data-moss-compliance="true". 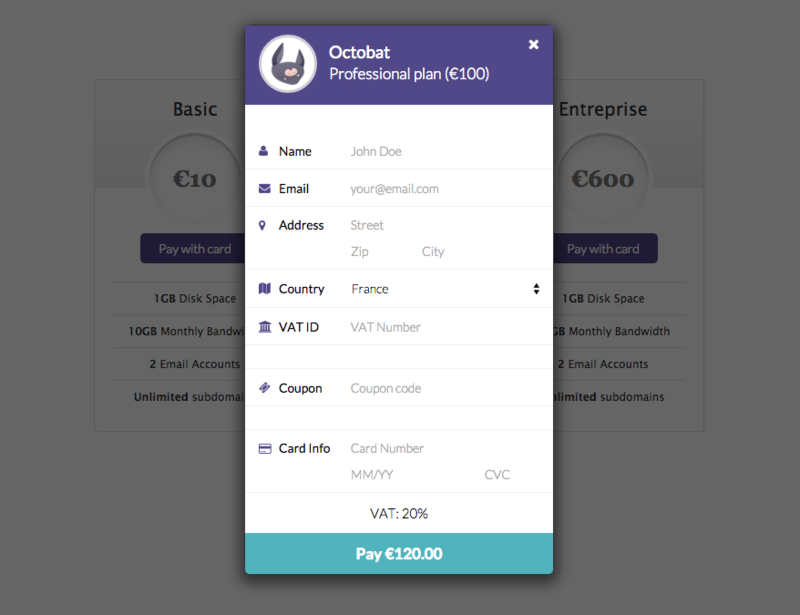 Once the payment is done, Octobat generates and stores automatically the invoice associated within your own back-office. Also, we provide a VAT return page where you can find, quarter-by-quarter, how much VAT you've collected in each EU country (see the screenshot below). Octobat allows you to export all your legal billing documents ready to respond to Tax Authorities requirements.